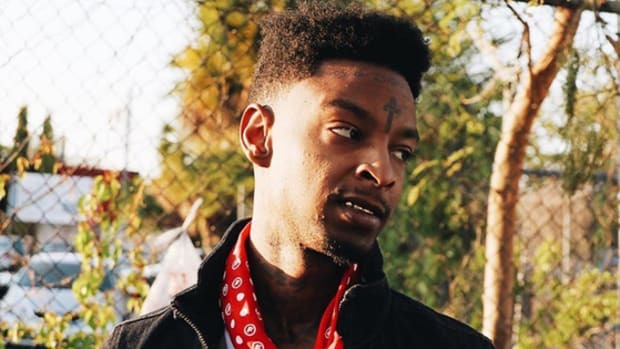 Before you even hear spine-chilling songs like “Red Opps” or “No Heart,” there’s one very distinct part of 21 Savage’s fear factor: the dagger tattoo that sits between his eyes. Normally the kind of facial artwork reserved for prison thugs or white supremacists, it’s the first thing you notice about him (if he isn’t aiming an AR-15 at your dome, that is). 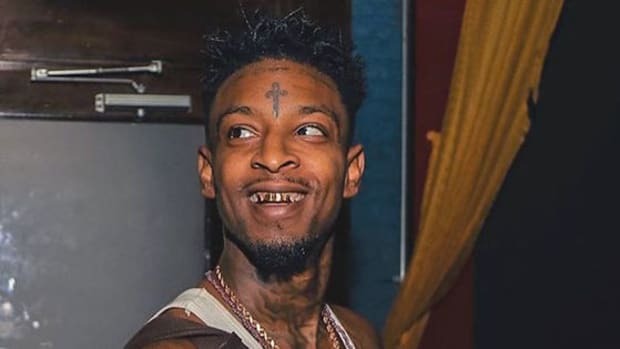 When you meet his dead-behind-the-eyes gaze, and then you look across and see a freshly sharpened dagger, it adds a deranged, almost satanic facet to 21’s mystique. 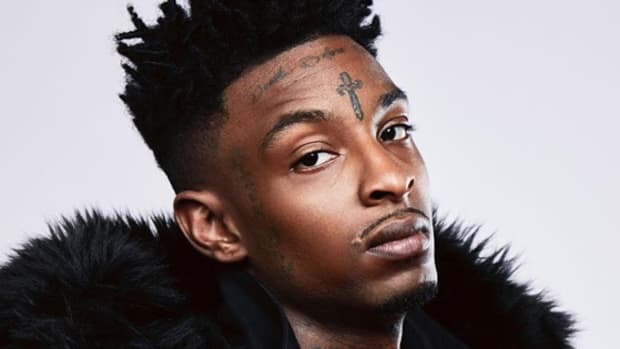 Despite trolling the internet earlier this year by pretending he got his ink removed and became “a changed man,” 21’s dagger tattoo remains sharper than ever. 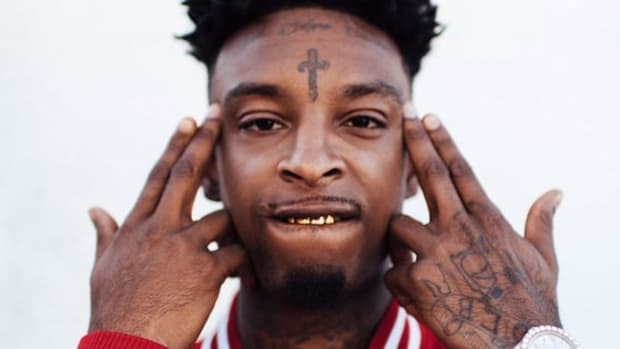 But what’s the story behind his trademark tat? 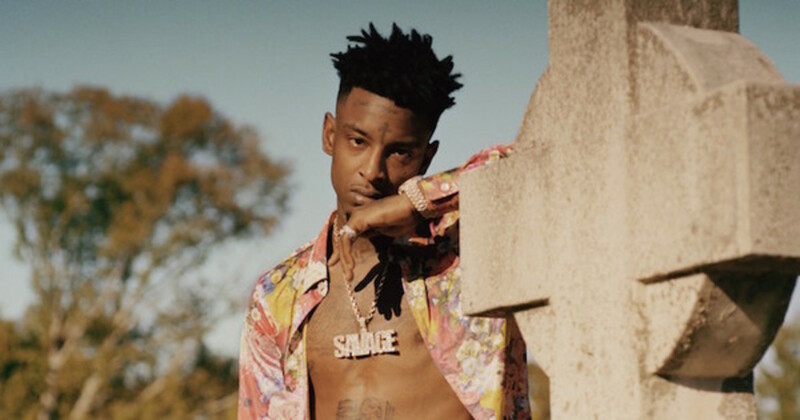 In a new cover story on the Atlanta rapper, The FADER’s Amos Barshad finally uncovers the mystery behind 21’s dagger tattoo—and it isn’t pretty. 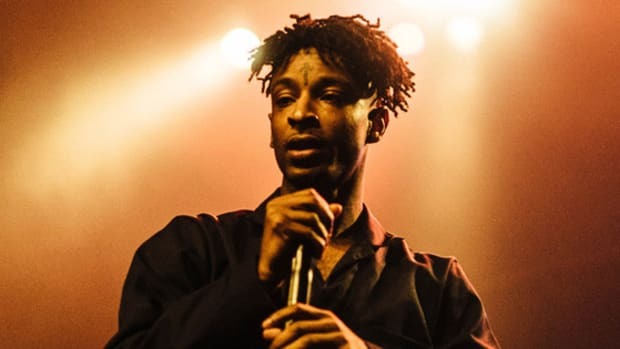 While many people might do more extreme things to themselves than ink their body after seeing their younger sibling get murdered, it’s just another tragedy in 21 Savage’s turbulent life so far. 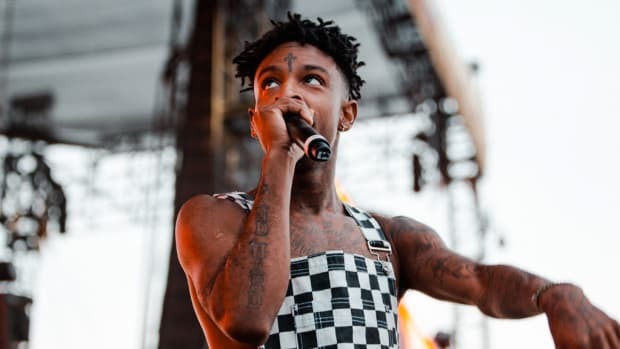 The FADER piece delves deeper into the rapper’s brutal experiences with guns, drugs, and violence. However, the worst of it came on his 21st birthday, of all days. It was Savage’s 21st birthday, and he himself was shot six times. He is cagey about recalling the incident, but later, when he’s out of earshot, one of his friends quickly shares with me the version of the story he’d always heard. That a deal turned into an attempted robbery. That there were two assailants. That [his best friend] Johnny got shot in the head. That Savage, wounded, tried to shoot back. That afterward he shut Johnny’s eyes, got out of the car, closed the door, lit a cigarette, and waited nearly 30 minutes for the ambulance to come. Did you think you were gonna die? 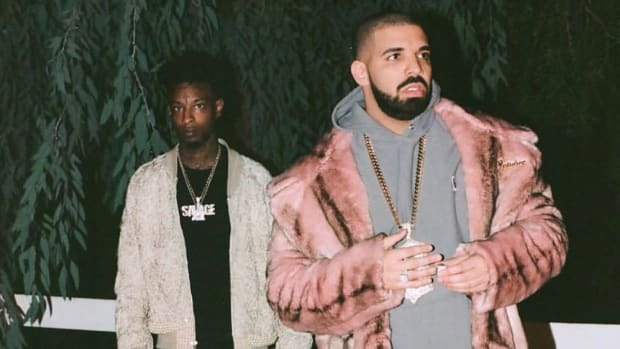 I ask Savage later. 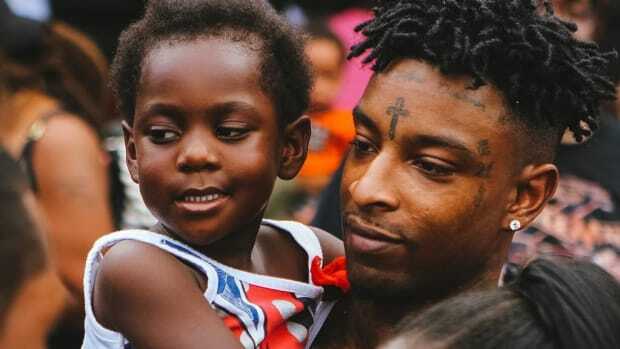 Yoh was right: 21 Savage is hip-hop’s realest rapper, and his reality is terrifying.